AUTHOR’S NOTE: Because I, David Chase Taylor, am currently in the process of applying for political asylum in Switzerland, which is coincidentally home to the CIA, the state-sponsored terror plots and so-called “natural disasters” I expose rarely come to fruition. In short, the Swiss CIA does not want to afford me any more publicity or credibility than they have to, lest they turn me into a modern-day prophet. They also do not want to provide yet another open-and-shut case as to why I deserve political asylum. For those wondering why I would apply for political asylum in Switzerland if it is indeed home to the CIA, consider this: a) I originally applied for asylum in Switzerland on March 8, 2011, roughly 2-years before I discovered that Switzerland was harboring the CIA; and b) the CIA has historically not shat were it eats in Switzerland. That being said, the CIA has now been exposed for the first time in history. Consequently, they are extremely desperate and may attempt to assassinate me Switzerland. 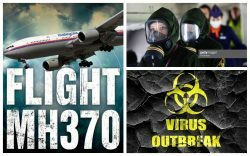 SWITZERLAND, Zurich — Based on breaking news and events, it appears that the CIA in Switzerland is preparing to execute a wave of 9/11-style terror attacks upon the United States, possibly via Malaysian Airlines Flight MH370 which was explicitly hijacked by CIA on March 8, 2014, in order to execute a surprise WMD attack on America. Although impossible to know, the impending 9/11-style attacks will likely target the Empire State Building, One World Trade Center, the Statue of Liberty, The Pentagon, the United Nations Headquarters, the United States Capitol Building and/or the White House, all of which appear to have been rigged for nuclear detonation. Because New York City and Washington, D.C. are located just off the Atlantic Ocean, Flight MH 370 or other hijacked planes could theoretically fly in off the water from an undisclosed location (e.g., Cuba) at full speed, attacking the targets in question prior to a retaliatory military response from NORAD or the U.S. Air Force. In the event that the United States suffers a wave of 9/11-style attacks, ISIS along with Iran or Pakistan will predictably be scapegoated. The notion that ISIS is plotting such an attack was revealed back on May 10, 2015, when a CIA operative stated that ISIS’ next test could be a 9/11-style attack. In what appears to be at least some of the planes that will be used in the impending wave of 9/11-style attacks, it was reported on the morning of May 26, 2015, that U.S. fighter jets were scrambled following at least 6 terrorist threats to passenger planes. Whether or not the 6 planes, which were immediately taken out of serve, have now been rigged with weapons and/or explosives is not known, but it’s highly likely. Said weapons and/or explosives could be utilized at a later date in an aerial hijacking and/or 9/11-style terror attack. In what appears to be the NORAD exercises for 9/11-style terror attacsk on Washington, D.C., it was reported back on April 29, 2015, that NORAD will execute test flights over the Washington, D.C., area in order to enhance response capability to “potentially threatening aircraft”. 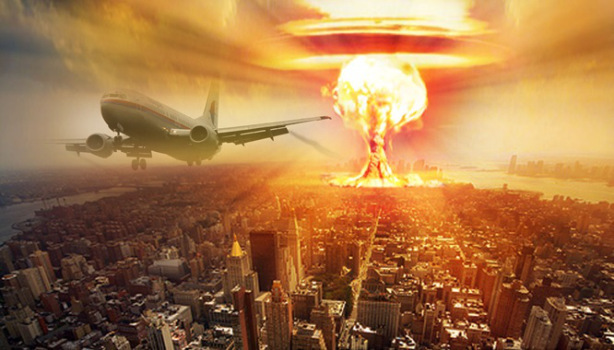 The NORAD drills, which were slated for Monday, May 4, 2015, and Tuesday, May 5, 205, were likely beta-tests for the impending 9/11-style attacks on Washington, D.C. Said attack may be executed by one or more rouge aircraft from Iran, possibly Malaysian Airlines Flight MH370. Prior to a state-sponsored nuclear terror attack in New York City, local, state and federal officials must drill the exact scenario so that they are psychologically prepared for the real thing. Coincidentally, it was reported on October 22, 2014, that the city’s Office of Emergency Management (OEM) ran a training exercise which simulated a 10-kiloton nuclear device exploding in Times Square. According to the drilled scenario, 100,000 people were instantly killed and a wave of overpressure took down buildings for a half-mile radius, doing damage for up to two miles. OEM also practiced rehearsing communications with the federal government and local law enforcement agencies in the Tri-State area. Considering that OEM Commissioner Joe Esposito stated that the nuclear blast would produce an electromagnetic pulse (EMP), the entire East Coast will likely be without electricity—permanently. The latest Flight MH370 target has been identified as the Empire State Building in New York City. Aside from the super-hyped television show “Empire” (2015), breaking news in respect to the building suggests that an attack on the iconic skyscraper may be is imminent. For example, on January 15, 2015, the Express published a report entitled “Asteroid Bigger than the Empire State Building set for Near Miss with Earth”, foreshadowing that something may crash into the Empire State Building. A day later on January 16, 2015, a guardrail reportedly fell from the 81st floor of New York’s tallest residential building. Lastly, on January 9, 2015, it was reported that the FBI informant in the plot to blow up the Sear Tower is now operating a store in New Rochelle, New York. Needless to say, the report was published to show that Islamic terrorists who want to attack skyscrapers are currently operating in New York. One potential Flight MH370 target is the Freedom Tower which has previously been rigged for a nuclear detonation. The plot to stage a nuclear terror attack on the Freedom Tower was a direct result of Truther.org foiling two previous nuclear terror plots targeting Dallas, Texas and New York City (i.e., the 2011 Super Bowl Nuclear Terror Plot and the 2014 Super Bowl Nuclear Terror Plot). Therefore, a third prospective nuclear terror target had to be chosen—One World Trade Center. 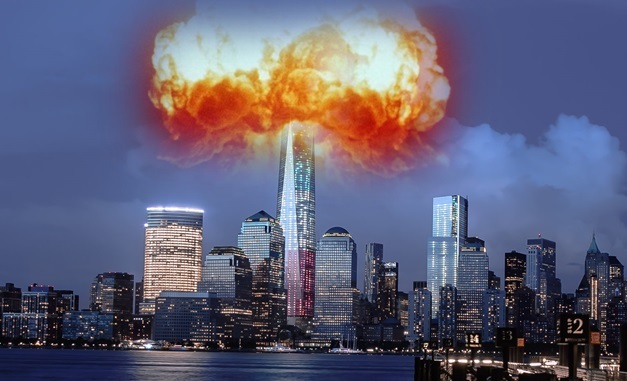 In order to foreshadow the notion that the Freedom Tower will suffer a nuclear terror attack, it was reported back on September 6, 2014, that a “prank caller” called 911 on September 5, 2014, claiming to have planted a nuclear bomb next to One World Trade Center. Port Authority police and members of the Joint Terrorism Task Force predictably raced over but found nothing. Most recently, on November 12, 2014, New York workers allegedly go stuck on scaffolding outside 69th floor of World Trade Center. The literal publicity stunt was designed to draw international attention to the newly finished Freedom Tower just prior to a nuclear terror attack by Flight MH 370. The Statue of Liberty is a colossal neoclassical sculpture located on Liberty Island in New York Harbor. It is quite possibly America’s most famous landmark. Back on November 18, 2008, terror suspect Aafia Siddiqui was reportedly taken into custody on charges of attempted murder following her capture in Afghanistan. According to reports, Siddiqui was plotting a “mass casualty attack” on the Statue of Liberty in New York City. More recently, on April 24, 2015, it was reported that the Statue of Liberty was evacuated due to a bomb threat. Whether the timely bomb threat provided the necessary cover for the installation of weapons and/or a nuclear device (i.e., tons of explosives) within or near the Statue of Liberty is not known, but it’s highly likely. Said nuclear bomb could be detonated at a future date when the Statue of Liberty suffers a 9/11-sytle attack. The Pentagon is the headquarters of the United States Department of Defense, located in Arlington County, Virginia. As a symbol of the U.S. military, “the Pentagon” is often used metonymically to refer to the U.S. Department of Defense rather than the building itself. Just prior to the 9/11 terror attacks, the Pentagon suspiciously underwent a renovation project in the exact location where it was later attacked. The most recent renovation is openly called “The Pentagon Renovation Project” and was reportedly initiated in the 1990’s but was only concluded in June of 2011. 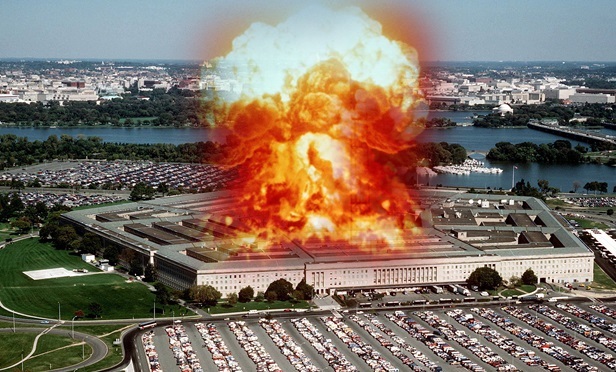 Whether or not the “renovation” job will ultimately undermine the structural integrity of the Pentagon is not known, but the timely construction project could have theoretically provided cover for the installation of demolition explosives in and around The Pentagon. These explosives could then be detonated via remote control at a future date in a calculated attempt to give the appearance of a coordinated terrorist attack. Back on September 28, 2011, it was reported that a Massachusetts man with a degree in physics was arrested for plotting to blow up the Pentagon with homemade drones. According to the report, Rezwan Ferdaus planned to fill two remote-controlled model airplanes with C-4 explosives and hand grenades and direct them into the iconic Washington buildings. Needless to say, the incident was designed to rehash the 9/11 attacks as well as set the precedent for another plane-related strike on the Pentagon. 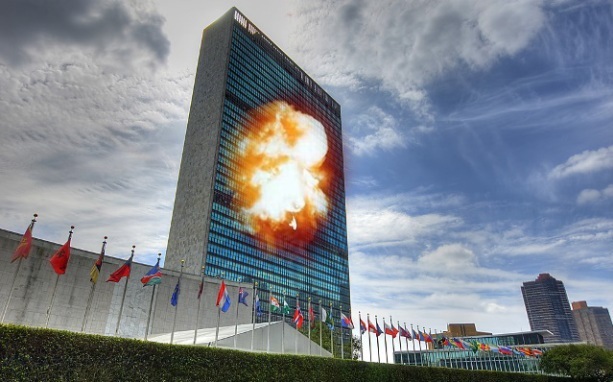 Given the current geopolitical climate, there is a real possibility that the United Nations Headquarters in New York City, which is currently “under construction”, may be the site of a major false-flag terror attack. The motives for a U.N. terror attack would be multifaceted in that it would garner support for Obama at home, demonize America abroad, and give the United Nations a reason to move the World Headquarters to Geneva, Switzerland. Based on its location, timely “construction” and terror drills, a high profile 9/11 style attack (plane into building, building comes down) on the U.N. building may be in order. Is the U.N. conveniently being renovated just prior to its scheduled destruction? According to a Press Core report, “Like the World Trade Center Towers the presence of asbestos has made the renovations of the U.N. headquarters too expensive and impractical. The cost to safely remove the asbestos from the ceilings of the building doubled the initial projected cost of $1.2 billion. That is the official revised cost. The actual cost is much higher. Some estimates put it as much as 10 times more expensive. Now that they have discovered that the U.N. pipes are also lined with asbestos the cost to remove and replace all of the piping in the building makes the UN building a perfect site for another CIA false flag attack.” On March 11, 2011, it was reported that the U.N. has already used $2 billion and is asking for $3 billion more to finish the remodel, ultimately keeping the New York building an continuously open construction site whereby demolition explosives could be easily installed any time. Back on October 31, 2011, an alternative new source stated that the U.N. could possibly be a false-flag terror target intended to take America and the world to war with Iran. According to the report, the CIA is preparing to destroy the asbestos condemned United Nations building in New York by posing as construction contractors. Just like in the controlled demolition of the World Trade Center Towers on 9/11, the CIA is preparing to place a small tactical nuke in an excavated hole in the center of the U.N. building’s basement. Like the WTC tower, the presence of asbestos has made the renovations of the U.N. headquarters too expensive with initial costs projected at $1.2 billion. The report goes on to state that the US Congress has already financed this false flag attack by providing $2.65 billion to FEMA on September 29, 2011. Back on April 5, 2011, the U.N. building in New York City served as a staging ground for a massive terror drill with the main focus being on nuclear terrorism. The drill began at the U.N. and then moved to other locations throughout New York City. The week-long series of terror drills involved dozens of agencies and first responders and focused on one of the great concerns of the post-9/11 era: nuclear terrorism. According to report, the NYPD and 70 other law enforcement agencies tested their ability to detect radiological materials and prevent an attack orchestrated by four fictional terror cells intent on targeting New York City with a “dirty bomb”. Back on June 14, 2012, it was reported that the U.S. Capitol dome will undergo its first major face-lift in more than 50 years, costing $19 million in repairs. Despite the repairs, the United States Capitol was slated for a second facelift on October 22, 2013, when it was reported that the Capitol Dome will undergo another $60 million facelift. As of November 18, 2014, work on the second facelift began, resulting scaffolding around the dome. Whether or not the timely “facelifts” have provided the necessary cover for the installation of a so-called nuclear bomb inside the U.S. Capitol Building is not known, but it’s highly likely. Said bomb could be detonated at the exact moment that Flight MH 370 crashed into the building 9/11-sytle, making the world believe that the plane had a nuclear bomb onboard. 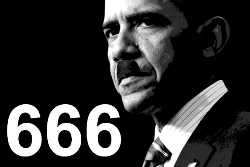 The unprecedented nuclear terror attack would end America as we know, bringing about the naked dictatorship of Obama. Lastly, on March 8, 2015, a domestic terror suspect was curiously allowed to speak on TV about his plans to bomb the U.S. Capitol and assassinate Obama. 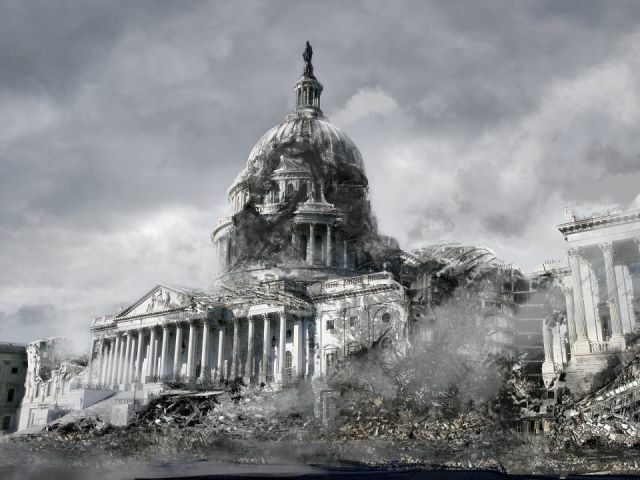 Needless to say, the government patsy was programming the American public for a future attack on the U.S. Capitol Building. Roughly a month later on April 12, 2015, a suicide-related shooting occurred at the U.S. Capitol Building, resulting in a lockdown of the premises. The shooting was likely staged or fabricated in order to program the masses for an aerial-related suicide attack on the U.S. Capitol Building, possibly via the previously hijacked Malaysian Airlines Flight MH370. In what appears to be programming for helicopter-related attack on Washington, D.C., it was reported on April 15, 2015, that a man landed a gyrocopter at the grounds of the U.S. Capitol. In the event that U.S. Navy Seals or U.S. Army Rangers execute an Obama coup, they will likely employ the use of Blackhawk helicopters. The White House is the official residence and principal workplace of the President of the United States, located at 1600 Pennsylvania Avenue Northwest, Washington, D.C. Therefore, it’s possibly that it may be attacked 9/11-style, possibly during Super Bowl XLIX. Back on January 26, 2015, it was reported that a small drone was found on the White House grounds. The incident, which was no doubt spawned by the CIA, was executed in order to program the masses for a 9/11-style attack on the White House. Back on September 12, 2012, it was reported that after nearly two years and $86 million worth of construction, the West Wing of the Obama White House has emerged from its visual seclusion “remarkably unchanged”. According to the report, the construction project began in September of 2010 with the excavation of a huge multistory pit in front of the West Wing. Whether or not the “construction” job will ultimately undermine the structural integrity of America’s most famous residence is not known, but the timely construction project could have theoretically provided cover for the installation of demolition explosives in and around the White House. These explosives could then be detonated via remote control at a future date in a calculated attempt to give the appearance of a “natural disaster” event or a coordinated terrorist attack. Aside from its suspicious construction, the White House has been the target of a number of high-profile terror plots and threats. On January 18, 2012, it was reported that an Occupy Wall Street protester threw a smoke bomb over the fence of the White House. Two months later on March 8, 2012, it was reported that a top hacker and committed anarchist who worked closely with the LulzSec, openly spoke of burning down the White House. Six months later on September 30, 2012, it was reported that the White House was attacked by hackers allegedly linked to China’s government. The unprecedented cyber-terror attack targeted the U.S. government’s most sensitive computer networks, ultimately breaching a system used by the White House Military Office for nuclear commands. A month later on October 21, 2012, it was reported that a year-long investigation by the Investigative Project on Terrorism (IPT) has found that scores of known radical Islamists made hundreds of visits to the Obama White House, meeting with top administration officials. Prior to a high-profile terror attack on the White House, the public must be psychologically prepared to accept that this is in fact possible. Hollywood movie propaganda is a slick way of showing that yes, it can happen. “Olympus Has Fallen” (2013) is a film (see trailer) in which the White House is attacked by an ex-North Korean terrorist with military aircraft, suicide bombers and cyber warfare.